Index heavyweights Reliance Industries, Infosys, ICICI Bank and HDFC continue to lend support while FMCG and select banking stocks are under pressure. Rupee Closing: The Indian rupee closed at 67.99 against the dollar, up 8 paise from previous close of 68.07 a dollar. The Nifty witnessed gap up opening and ended the trading session at negative note. After an initial dip, the index recovered from the low but it witnessed a sharp decline in the last hour of the trading session and ended the trading session near the low point of the day. On the way down, the lower end of the channel has acted as a strong support. Currently, the index has closed near the lower end of the channel. In the near term, 10,701 – 10,726 will be a crucial support zone. If the index breaks the low of 10,701 then it is likely to resumes its down move which drag the index lower to 10,550 and subsequently towards the low of 10,417. However, if the holds above the support zone then pullback or sideways consolidation is possible. On the way up, 10,810 – 10,834 will be a crucial resistance zone in the near term. Overall, short term chart structure of the index is bearish. We maintain our bearish outlook on the index for the short term with a reversal placed at 10,930. Key benchmark indices in India started the day on a positive note and traded with gains in morning trade only to reverse trend and end the day in the red. Both the benchmark Sensex and the Nifty finally closed the day with marginal losses. According to the minutes released by Reserve Bank of India from their most recent policy meet, inflation risks have increased since April, 2018. This information, in the backdrop of an ongoing OPEC meeting that could expand crude production, left investors uncertain and weary of market direction. All the sectoral indices on the National Stock Exchange (NSE) witnessed sharp losses with most of them losing over 1 percent at close. Market Outlook: "Market continued to be under pressure as trade tensions between the US and China is getting escalated. 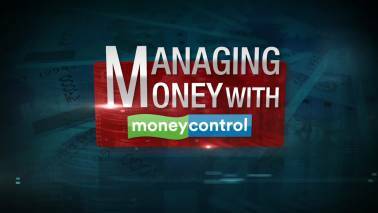 Emerging markets including India were under performing due to FIIs selling," Vinod Nair, Head of Research, Geojit Financial Services told Moneycontrol. OPEC meeting tomorrow will be a key event, relaxation in production cuts will provide some relief to Indian markets, he said. Global Update: Asian markets closed mixed as investors monitor trade developments between world's largest economies US and China. China's Shanghai Composite, Hong Kong's Hang Seng and South Korea's Kospi closed down over a percent while Japan's Nikkei gained 0.6 percent and Australia's ASX 200 rose 1 percent. European stocks were lower ahead of OPEC meeting and ECB rate decision. Germany's DAX was down 1 percent and France's CAC down half a percent at the time of writing this article. Oil prices corrected sharply ahead of likely increase in crude output in the OPEC meeting. Brent crude futures, the international benchmark for oil prices, were down 1.65 percent at $73.51 a barrel. Market Closing: Benchmark indices ended lower after consolidation, as investors monitor trade developments between US and China. The OPEC decision will also be closely watched. 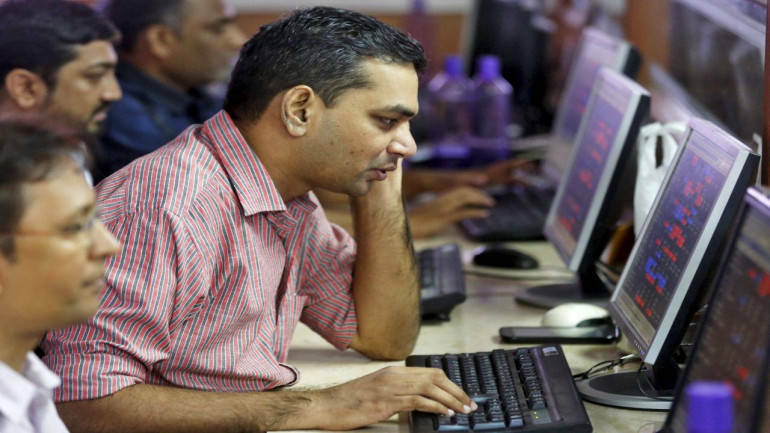 The Sensex fell 114.94 points to 35,432.39 and the Nifty shed 30.90 points to 10,741.10. More than two shares declined for every share rising on the BSE. IOC, HPCL and BPCL gained 3-4 percent on correction in crude oil prices. ICICI Bank and Reliance Industries gained more than a percent while HDFC Bank rose half a percent. SBI, L&T, ITC, Maruti, M&M, Dr Reddy's Labs and Axis Bank were under pressure. Nifty Midcap index fell over 100 points. Balrampur Chini, Dhampur Sugar, Union Bank, Indian Bank, PNB, Avanti Feeds, Strides Shasun, NCC, Just Dial, Indiabulls Real Estate, Adani Power, IDBI Bank, Equitas Holdings, Bata and Escorts slipped up to 7 percent. VIP Industries, InterGlobe Aviation, Firstsource and Mphasis gained up to 5 percent. On May 15, Ruchi Soya had declared to the exchanges that it had received a letter from the SFIO regarding an investigation into its affairs. 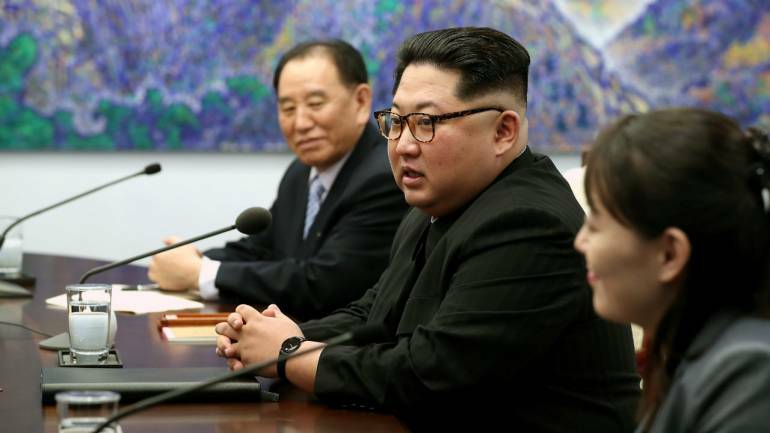 Japan has decided to halt drills to prepare for a North Korean missile attack after a historic summit between the leaders of the United States and North Korea eased tension, Kyodo news agency reported on Thursday. Coal India commences Tranche IV of auction of coal linkages for non-regulated sector. t 15:12 hrs Coal India was quoting at Rs 267.70, down Rs 2.90, or 1.07 percent. The share touched its 52-week high Rs 316.55 and 52-week low Rs 234.00 on 27 February, 2018 and 11 August, 2017, respectively. Currently, it is trading 15.43 percent below its 52-week high and 14.4 percent above its 52-week low. Further, reports of the bank appointing a law firm and risk assessment company to assist the independent enquiry against its CEO soothed market investors. Market Update: The market is under pressure amid consolidation as investors monitor trade developments between US and China, and also await OPEC meeting decision. The 30-share BSE Sensex fell 119.35 points to 35,427.98 and the 50-share NSE Nifty slipped 42.30 points to 10,729.70. About two shares declined for every share rising on the BSE. The Nifty Midcap index dropped more than half a percent. Brent crude futures fell nearly 2 percent on likely increase in output. Cipla get USFDA nod: Cipla has received final nod from the US health regulator for generic Testosterone Cypionate injection used for replacement therapy in males for deficiency or absence of endogenous testosterone. The product is generic version of Pharmacia and Upjohn's Depo-Testosterone injection, it added. Yoga has many dimension that only a few of us understand. Regular practice can help individuals attain peace and calm which are basic needs of a successful trader. Oil prices dipped as Iran signaled it could be won over to a small rise in OPEC crude output, likely paving the road for the producer cartel to agree on a supply increase during a meeting on June 22. However, prices were prevented from falling further by record refinery runs in the United States and a large decline in US crude inventories, a sign of strong fuel demand in the world's biggest economy. Brent crude futures, the international benchmark for oil prices, were at $73.67 per barrel, down 1.43 percent, from their last close. US West Texas Intermediate (WTI) crude futures were at $65.04 a barrel, down 1.02 percent. Iran, a major supplier within the producer cartel of the Organization of the Petroleum Exporting Countries (OPEC), signaled on Wednesday it could agree on a small increase in the group's output during a meeting at OPEC's headquarters in Vienna on June 22, reports Reuters. Europe Update: European markets were mixed against a backdrop of growing tensions in the oil market ahead of an OPEC meeting that could expand crude production. Britain's FTSE gained third of a percent whereas Germany's DAX fell 0.3 percent and France's CAC slipped 0.1 percent. Market Update: The rangebound trade continued at Dalal Street after recent sharp up and down in the market caused by elevated trade tensions between world's largest economies US and China. Midcap index underperformed frontliners, falling third of a percent whlie PSU Bank index remains lower by a percent. Reliance Industries continued to trade near its record high, which is up over a percent while ICICI Bank extended gains to nearly 2 percent on reports of likely appointment of new chairman. The 30-share BSE Sensex rose 32.29 points to 35,579.62 and the 50-share NSE Nifty gained 4 points at 10,776. The market breadth remained in favour of bears as about two shares declined for every share rising on the BSE. According to Rakesh Jhunjhunwala, there is no credible leader in the opposition party to take on PM Modi. I am sure that the next government will be a BJP government despite what people feel, he said. RITES IPO: The public issue of RITES was fully subscribed on the second day its initial public offering (IPO) on Thursday. The issue received bids for 2.75 crore shares against the issue size of 2.52 crore shares, as of 12:45 PM on June 21, 2018. The total issue was subscribed 1.09 times. On the first day of issue, June 20, the IPO had received bids for 1.5 crore shares against the total issue size of 2.52 shares, data available with the NSE till 5 pm showed. The segment meant for qualified institutional buyers (QIBs) has subscribed 0.0242 times, non-institutional investors 0.30 times and retail investors 3.23 times. "I am pretty sure that worst is behind for pharma sector as generic competition in the US is leveling off," Jhunjhunwala said. He is positive on the domestic branded pharma businesses. "Indian pharma industry is entering unknown, but exciting space." Healthcare majors Sun Pharma & Lupin entered into speciality generics, the next leg of growth. Buzzing: Shares of Bank of Maharashtra continued to fall for the second straight session today, dropping over 7 percent intraday to hit a 52-week low, following the arrest of its serving and a former CMD in a cheating case. The Economic Offences Wing of Pune police yesterday arrested six people, including the serving and a former CMD of Bank of Maharashtra in a cheating case lodged against real estate developer D S Kulkarni and his wife, an official said. Meanwhile in a statement, Bank of Maharashtra said its exposure to D S Kulkarni Developers was around Rs 94.52 crore, which was fully secured, reports PTI. KNR in focus: In a clarification note to the exchanges regarding "Promoters of Company taking large interest free loan from the Company", KNR Constructions said the promoters have extended unsecured loan of Rs 214.08 crore to the company, at the interest rate of 8.45 percent per annum to defray the term loan of one of the SPV. "There are no loans and advances given by the Company to promoters." 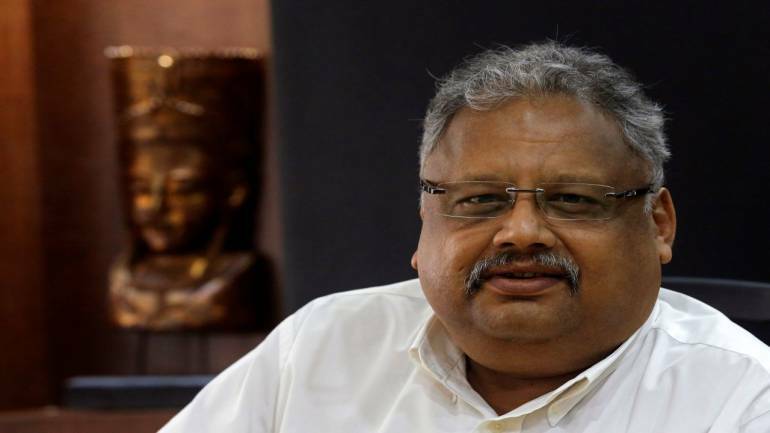 Market Veteran Rakesh Jhunjhunwala views on banking: He feels there is unprecedented growth opportunity in the banking sector. "Once provisioning normalises for banks, earnings & multiples will expand. Banks with legacy problems will show strong growth," he said. He is extremely bullish on troubled banks. "ICICI Bank carries characteristics of HDFC Bank in terms of CASA. 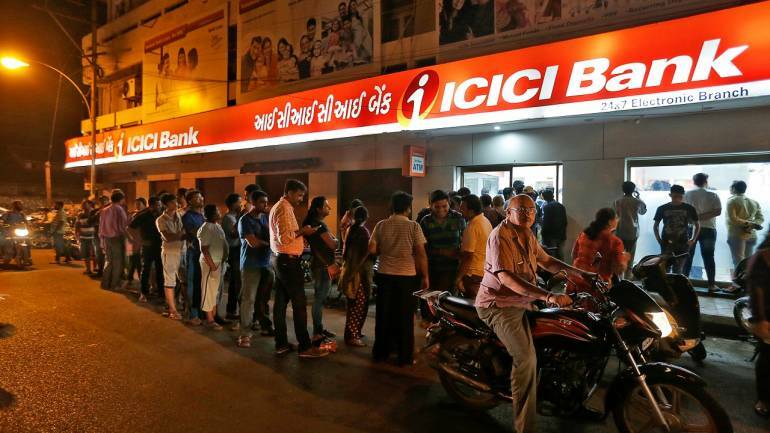 For ICICI Bank, FY19 will see repair & FY20 will be a year of clean growth." Return on assets and return on equity of private banks with legacy problems will improve in FY19 & FY20, he feels. Jhunjhunwala said NCLT (National Company Law Tribunal) & IBC (Insolvency & Bankruptcy Code) will inculcate a sense of credit discipline. 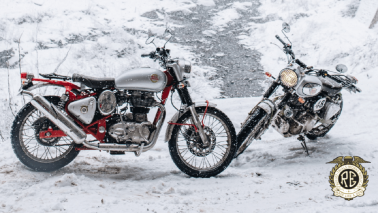 "People are underestimating long-term benefits of IBC & NCLT." Buzzing: Shares of Manpasand Beverages rose 4 percent intraday ahead of board meeting to consider audited financial results for quarter ended March 2018. The meeting of board of directors of the company is scheduled to be held on June 27, to consider and approve audited financial results along with audited report for the fourth quarter and year ended on March 31, 2018. The board will also consider and recommend dividend, if any, on equity shares of the company for the FY2017-18, subject to approval of members of the company. Market Outlook: Market Veteran Rakesh Jhunjhunwala told CNBC-TV18 that 2018 will be the year of consolidation after stellar gains in 2017. Market has had a tremendous run since August 2013 and the current correction is post that big rally, he said. He feels the flow of local money in the market is just beginning. "Influence of local flows will far outweigh foreign flows that are restricted to just individual companies." He said it is too early to predict the outcome of the general elections 2019 but he believes BJP will form the government in 2019 despite uncertainty. "I don't think political uncertainty will take market lower beyond a point."